It's time I counted one of my cat-blessings, and formally thanked Tiger the tortoiseshell, who at the time of writing is the senior-most cat at Mooseys. There's so much I have to thank Tiger for. She's always around, the very first cat to say hello, balancing on those short striped back legs when I reach down to stroke her. 'Hello, Tiger, you big fattie' I'll say, and she purrs loudly. It's impossible to insult Tiger. She never sulks when I tell her she's too fat, or make rude jokes about her swinging belly. One house visitor calls her 'Tiger-Two-Cats'. She still purrs and beams at them. She's obviously comfortable with her body-image. 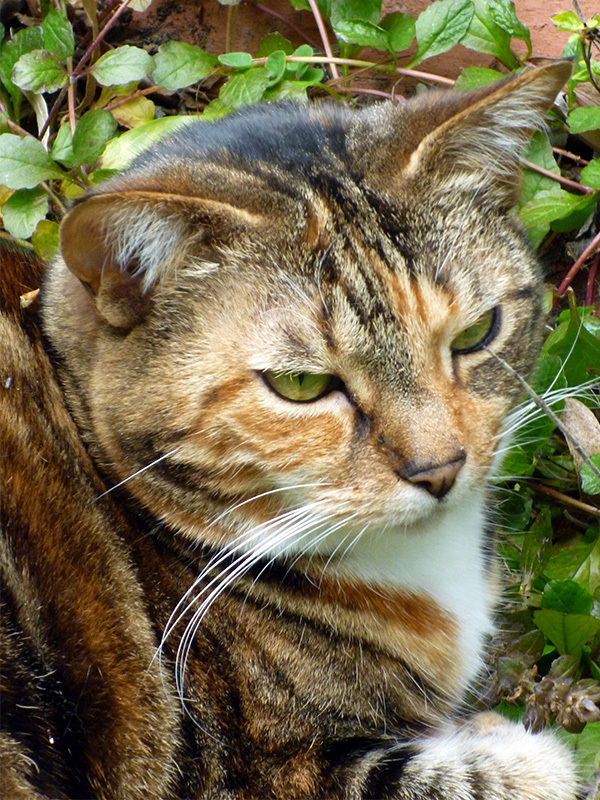 Tiger never takes offence when I shoo her away from the kitty litter and gently foot-scoop her outside to use the garden toilet in the pouring rain. I might then leave her squeaking at the door for ten rainy minutes, but still she doesn't get cross with me. She gives the unconditional love that we all dream of being able to give. Granted, she prefers to give it indoors. And this is where she prefers to answer the call of nature, too. Tiger! What ARE you about to do in my pantry? Out you go at once! Not a Good Look, Tiger the Cat! The other Moosey cats eye me cautiously after they've been told off for some in-house misdemeanour - like knocking over a glass of wine, depositing a live mouse at my feet, stealing a piece of chicken from the cook, and so on. They mightn't speak to me for hours. 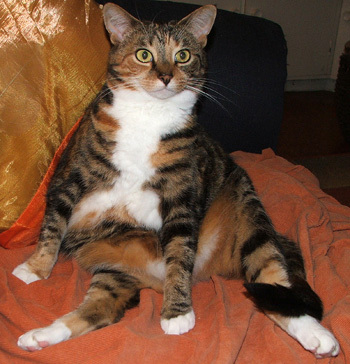 Tiger waddles away from the clapping hands and the stern voice, washes her bottom for a few minutes, then wanders back, her white furry belly swinging from side to side. She's full of cat-confidence. Hello, mother! I'm back! If the world was full of Tigers it would be a much more relaxed and happier place, I reckon! 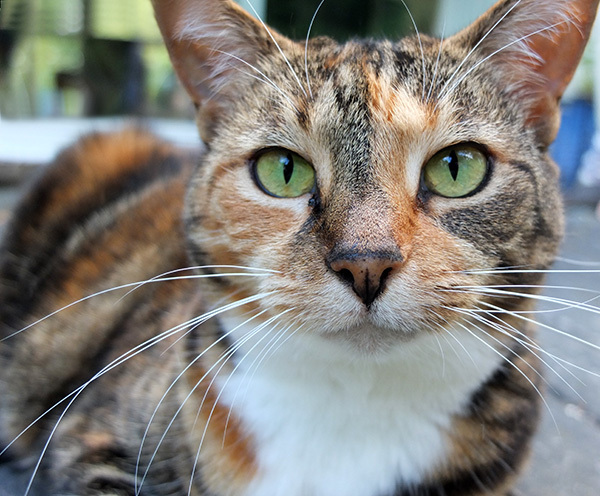 Tiger the Tortoiseshell, senior Moosey cat, thanks so very much. You're a cat-legend!